Because at PeachTree Place Assisted Living, we want to help seniors stay connected to their families, friends, and Salt Lake City and Ogden communities, we’ve compiled this list of smartphone options and settings for the elderly. You may be helping grandma get started on her first smart device or just helping a senior friend optimize their newest gadget. This list of tips should help. Smartphone technology lets us stay connected with family and friends like never before, but it’s a lot for seniors to learn and understand, especially if they aren’t already familiar with computers and cell phones. On top of that, the default settings of most smartphones don’t meet seniors’ needs. 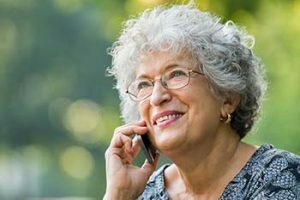 This list of simplified smartphone options, however, should make the transition easier and help your elderly loved one stay connected. Senior-friendly smartphone options can vary from phone-to-phone, but there are a few that are designed for people with disabilities and included on most smart devices. Where these accessibility settings are found and what they are called will depend on the brand of smartphone you are setting up. These tips for older folks cover both iOS and Android phones. Increase the default text size. Raise the volume of ringtones and alert sounds. Remove all but the essential apps from the home screen. Disable auto-correct and other advanced keyboard features. Pre-load contacts with family members and other essential numbers. Turn on Siri/Google Assistant (“Hey Google”) to enable voice commands. Android and iOS have a variety of built-in accessible cell phone settings to help users with specific impairments or disabilities. Blind users can have the screen read to them using VoiceOver on iOS or TalkBack on Android. Colorblind people can use the color inversion and color correction/filters options to better differentiate colors on the screen. Siri and Google Assistant allow a smartphone to be controlled almost entirely through voice commands, which is a big help for seniors with physical disabilities. Assistive Touch is another option for those with limited mobility. This feature replaces button presses and complicated gestures with a series of easy-to-understand menus and screen taps. Here are two tips for seniors who have a hard time hearing their phones. Android and iOS phones are compatible with most modern hearing aids. Another trick you can try is to set the phone to vibrate as well as ring. Your loved one’s comfort and quality of life are so important to us here at PeachTree Place Assisted Living. We hope something on this list of this list of smartphone options and settings for the elderly has helped you. If you’re looking for a new home for mom or dad in the Salt Lake City or Ogden area, we invite you to check us out. Our wonderful staff is always on hand to answer your questions. 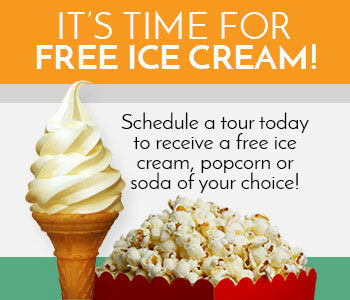 Contact us today to schedule your tour.